I'm back doing this for the fourth year now and I have to say it's not getting any easier! I've got some notes from throughout the year but that seemed to have stopped in August... Note to self; take better notes next year! This year I've had beers from 41 countries in 10 different countries. As expected more than half of them were from Australia, while France, Belgium, New Zealand and the United States were also well represented. It's been a great year in beer and I've complied the best in the post below for you, hope you enjoy! Best Australian Draught Beer - Moon Dog Splice of Heaven. Moon Dog polarizes opinion like no other brewery in Australia. 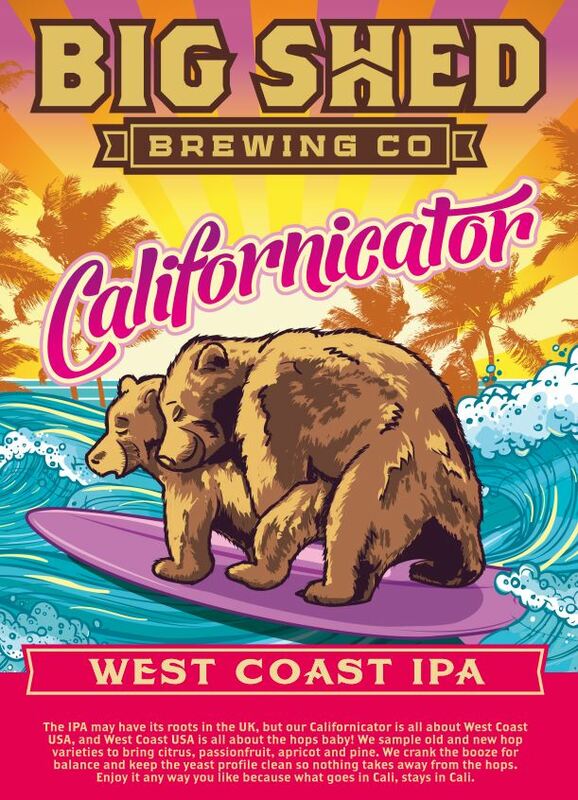 I'm all for their boundary pushing ways, which allows for brilliance like this beer! It's an American IPA, which tastes exactly like a Splice ice cream even down to the creamy texture. It's boundary pushing and one of the most innovative beers I've had in a long time, while also still tasting great! Best Australian Bottled Beer - Feral War Hog. War Hog was a late entry, but having arrived it was the clear winner of this award. It's one of the juiciest IPA's that I can recall having in a bottle, with the tropical fruits, particularly pineapple, and citrus flavours from the hops incredibly pronounced. For those of you after more detail, find it here. Best Overseas Draught Beer - Panhead The Vandal. Bar Carlton Draught and Stone & Wood Pacific Ale, I think The Vandal from Panhead would be my most consumed tap offering of the year. It's a brilliant IPA, that Anton at Tru Bru conveniently has available pretty regularly now. There's plenty of pine and citrus flavours, which imparts great bitterness. You can read my full review of this beer here. 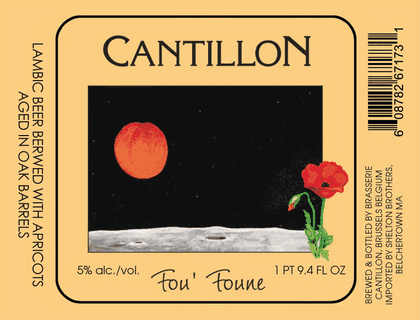 Best Overseas Bottled Beer - Cantillon Fou' Foune. Fou' Foune has been at the top of my beer bucket list for years! Quite often when I really build a beer up in my head, the beer doesn't live up to the hype. This time was different; the beer was spectacular! It was beautifully dry and sour whilst having plenty of apricot flavour. It just blew me away with how good it was! Best Overseas Canned Beer - Sixpoint Resin. Sixpoint's Resin has done what no beer has done before; defended it's Golden Pint title on Beer O'Clock Australia. Added to the core line-up in 2012, Resin has gone on to spawn Hi-Res, an even bigger version of it! If you love hops you have to try this beer, it's a cracker! Find my full review from 2014 here. Best Collaboration Beer - Amager/Surly Todd The Axeman. 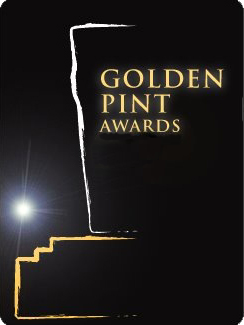 This beer is just too good to miss out on a Golden Pint award! This year I had a lot more collaborative beers to choose from, the new Untappd badge was a god send for recording them! This is one of the best IPA's I can recall ever having - it's packed full of juicy fruit flavours and has an understated caramel malt base that compliments it superbly. Best Overall Beer - Cantillon Fou' Foune. Normally I pick another beer for this award. This year I had to pick this. I'd massively hyped it up in my head and this beer still delivered. I couldn't fault it! Having this beer in Belgium was my beer highlight of the year. Best Branding - Nøgne Ø. This is a new category and one I didn't think too hard about. The first thing that popped into my head was Nøgne Ø. I really like the consistency and simplicity of all their branding with just different coloured Ø's on each bottle. 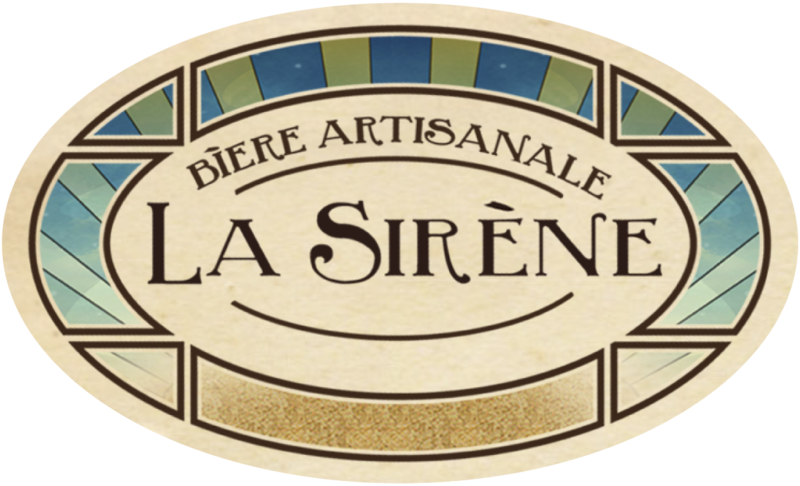 Best Australian Brewery - La Sirene. This was the toughest call for me. La Sirene ended up edging out Feral, Boatrocker & Mornington to name just a few of the other contenders. Costa and co. are producing some absolutely phenomenal Farmhouse ales in Alphington in inner northern Melbourne. They really shot to prominence with their GABS winning Praline in 2014 and have just gone from strength to strength this year. Best Overseas Brewery - Cantillon. My visit to Cantillon was one of my beer highlights of the year. I've known for years about how good their beers are, but actually going there seeing how/where they're produced and getting to try some of the rarer stuff was really eye opening. If you get a chance you have to go and visit these guys in Brussels! Best New Brewery Opening 2015 - Pirate Life. These guys released their first beers in Adelaide in January, and started making their mark in Melbourne around Good Beer Week. I called their Pale Ale the Best Australian Canned Beer with good reason and their other beers are equally as good, the Imperial IPA in the pint can is one of the most dangerously drinkable beers in Australia! I can't wait to see what these guys produce next year. Pub/Bar of the Year - The Wheatsheaf. January marked my first visit to this iconic venue. It's Adelaide's best known craft beer destination and is quite an eclectic venue, those who've been will know what I mean. Despite the first time I visited being over 40 degrees and the pub having no air conditioning I had a thoroughly enjoyable time, sampling some great beers and meeting some great people. I'd highly recommend a visit if in Adelaide. Beer Festival of the Year - Ballarat Beer Festival. I never thought I'd see the day where GABS got knocked off in this category. GABS was still brilliant this year but Ballarat was one of the best days of the year. It's an absolute must visit for any Victorian beer lover! Check out my full wrap up of the day in this post from back in February. Supermarket of the Year - Dan Murphy's. Slowly but surely Dan's are lifting their game. Their craft range is improving, as is their storage of beer (apparently less and less beer is being left out in the sun...). Still if I had the option I'd go somewhere like our next award winner. Independent Retailer of the Year - Slowbeer. Just down the road from Purvis, Slowbeer is fast becoming my go to bottle shop. Their range is second to none and they are one of the few places that stock Omnipollo. Accompanying their fantastic range is 4 taps, that you can sample in store while you browse or just have a few beers outside in the sun. Online Retailer of the Year - Beer Cartel. I don't buy much beer online anymore. The few times I have this year have been pretty easy transactions. These guys are based in Sydney and have a really good range of beers and some pretty interesting glasses from time to time. Their prices are a little bit steep at times, but the service is really good. 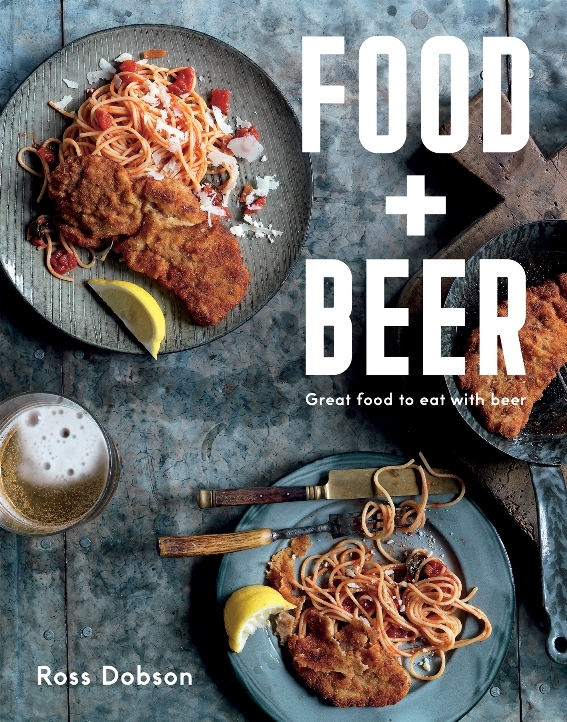 Best Beer Book - Food + Beer. I was tossing up a number of books for this award, but ended up going with Ross Dobson's excellent book. It's more a cooking book than a beer book, with some of the beer stuff needing a little more work. The reason it gets the award is because of how simple and tasty the food is, and while he doesn't express the beer part that well - the food pairs beautifully with beer. If you like cooking this is a great book to pickup! Best Beer Magazine - Froth. Melbourne's own craft beer magazine launched in late-October and has to get my nod for Best Magazine. 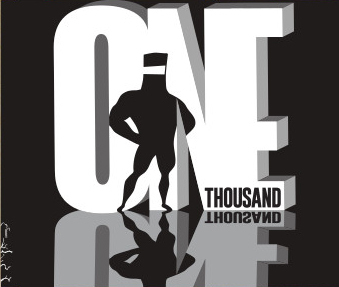 The magazine is free and can be found at all good pubs around Melbourne. There's been two issues so far and I'm looking forward to what Emily and co. will put out next year. Best Beer Blog or Website - Crafty Pint. 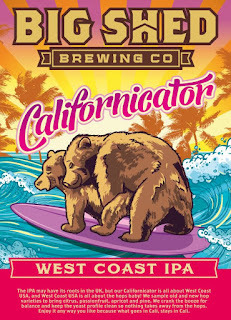 No Australian beer website comes even close to The Crafty Pint. It's the first port of call for information about new beers, brewers, beer events, jobs in the beer world. You name it, it's the place to go! James has recently setup the Crafty Cabal, where for a yearly fee you get access to great offers from brewers and bottle shops and in turn support the best website about Australian craft beer. Best Beer Twitterer - @Beardface151. Scotty gets the nod here for his great beer reviews from in and around Melbourne. He takes some good shots on his Instagram as well. He's definitely worth following and always good to have a beer with if you see him around. I'm sorry this took me until January to get up, but this difficult task was even more onerous than previous years! I've already had far too many beers in 2016 and am really looking forward to what this year will bring in the Australian beer world. I hope all of you had a Merry Christmas and a Happy New Year and we'll hopefully have you back here soon.